The best Mark II, again. As the 8th generation Mark II, the X100 series was released in September 1996 as a full model change from the previous X90. The latest safety technology of the time was incorporated, with new GOA body, ABS and SRS airbag for the front seats as standard equipment. Also, the reincorporated straight-line body design is popular even to this date. 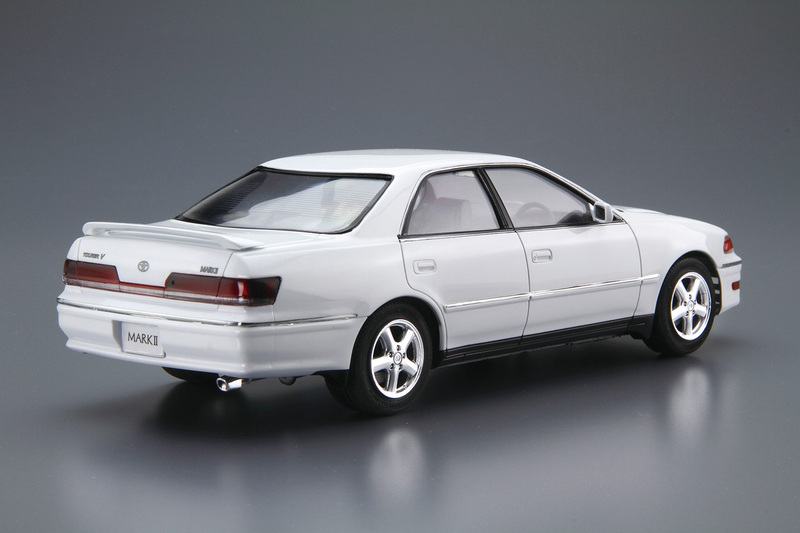 This kit replicates the late-model, highest grade JZX100 Mark II Tourer V in its catalog specifications. The kit includes aero parts and lowdown parts, with realistic chrome-finished front grille. 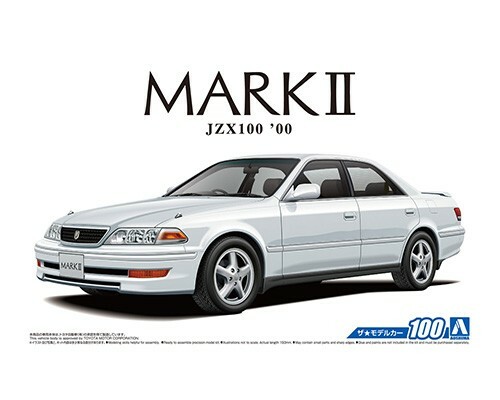 Also with window masking seal and aluminum wheels included, you are able the build the JZX100 Mark II of your preference.